The respect to Nature and its gifts builds up the team of the Kapatovo Gardens and Vineyards. 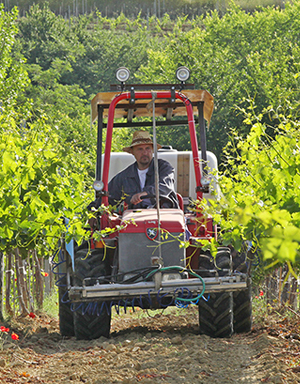 In 1997 were bought the first lands of Kapatovo to settle up the business, and in 2010 it reached 120 hectares of land. The years that passed helped us to obtain invaluable experience and knowledge about the peculiarities of the local climate as well as the challenges that agricultural producers face with nature. Thus we reached our recipe for farming – investments and human care. Perennial plants are secured with drip irrigation system in its entirety. We have invested in agricultural machinery, cooling chambers, packing and sorting equipment, and trade facilities. In response to the expectations and the demands of our clients, we keep on developing the farm,while implementing a produce based entirely on biological fertilizers and preparations.